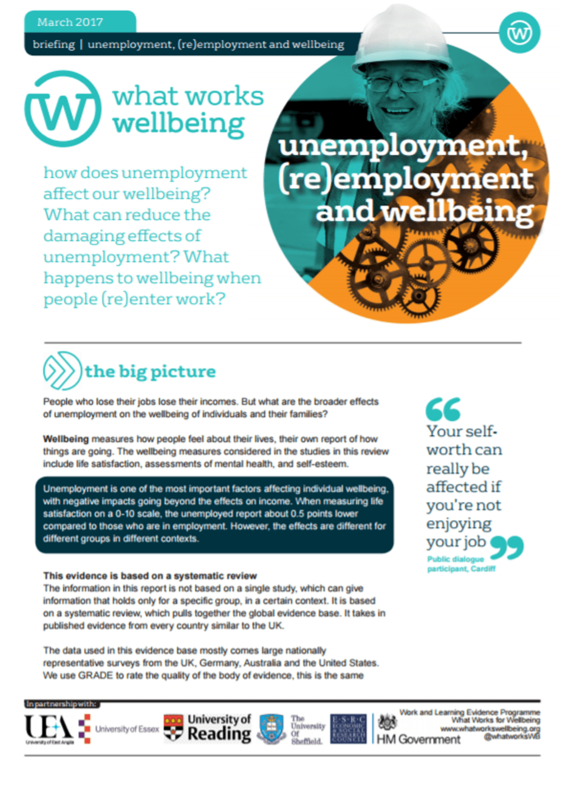 How does unemployment affect our wellbeing? What can reduce the damaging effects of unemployment? 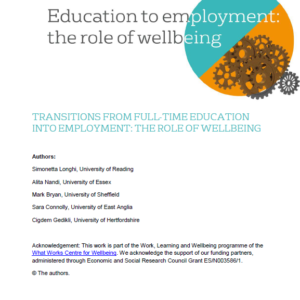 What happens to wellbeing when people (re)enter work? Unemployment is damaging to people’s wellbeing regardless of their age, gender, level of education, ethnicity or part of the country in which they live. The longer the time unemployed, the worse the effect. People do not adapt to unemployment, their wellbeing is permanently reduced. This is unusual as it is not the case for most life events. Men’s wellbeing is more affected by the incidence and duration of unemployment. Wellbeing may decline further for young people, particularly if the spell of unemployment is longer. Unemployment not only affects the person who lost their job, it also reduces the wellbeing of their spouse, especially female spouses. 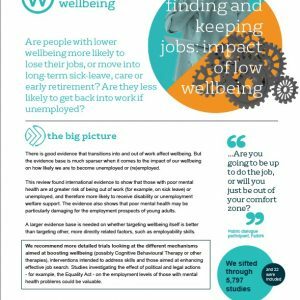 Re-employment leads to higher wellbeing.